Roach Smasheris an iPhone game developed by S Games. This “pick up and play” title is simple, yet addicting…and it’s suitable for kids as well as adults. 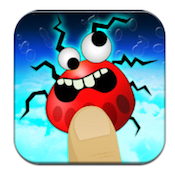 There are a number of bug-smashing games available on iOS, but this one is a little bit different. In this title, your goal is to smoosh every single roach that crosses your path. However, this game has a really clever twist. Your game field is actually a thin area of ice. That means that every time to go to hit a roach and miss, you put a tiny crack in the ice. Miss 20 times in total and your game is done. Putting such a big stress on accuracy actually makes Roach Smasher a lot more fun that other bug-smashers that I’ve played. The background music is simple, a little funky, and a great fits for the action of the game. 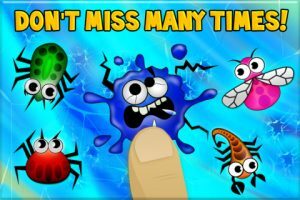 The roaches change every few seconds, varying in both size and color, which really helps to keep a player on their toes. You can easily Tweet your scores, or share them over Facebook. There are also leaderboards where you can track your scores today, this week, and over all time. 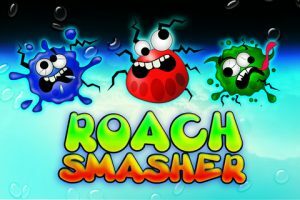 The App Store description of Roach Smasher states that the game distinguishes itself with “responsive touch controls to ensure that your focus is on the game not missing roaches when you don’t want to!” In my play time with Roach Smasher, I have to say that this claim is 100 percent accurate: every time I missed, it was clearly because of slow fingers, not because of poor controls. 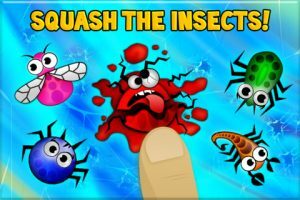 If you want to try a fun time waster that will make you laugh with glee, Roach Smasher is well worth the cost of a download. 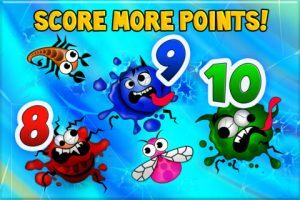 Roach Smasheris compatible with iPhone 3GS, iPhone 4, iPhone 4S, iPhone 5, iPod touch (3rd generation), iPod touch (4th generation), iPod touch (5th generation) and iPad. Requires iOS 4.0 or later.